What a year! 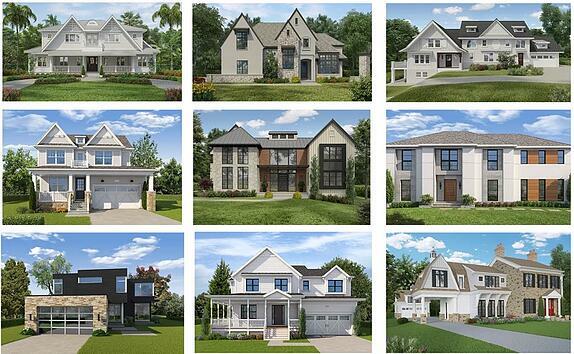 In 2016 we brought a variety of dream homes to life with styles spanning from coastal to transitional, to traditional and modern. We've loved seeing the ideas that clients have brought us throughout the year - it's pretty cool to see families really putting their own unique fingerprint on every home. We also have many of you to thank as you continue to support our team with your referrals. One new client came to us with 5 different, direct referrals. This means so much to us, but more importantly we hope it raises the confidence level with our new clients as they decide to build their home with us. It was also fantastic to see some familiar faces this year, as we returned to build again for three past clients, as well as returning to past clients for basement remodels, additions and more. Knowing we get to see so many of our clients again makes wrapping projects that much easier!